This photo is from the beautiful wedding of Kelsey and Mark. Kelsey and Mark had their amazing wedding at the gorgeous Windows on the River, a very popular and beautiful Cleveland Ohio venue. Windows on the River is located on the Cuyahoga River and their spectacular floor to ceiling windows in the ballroom overlooks beautiful downtown Cleveland. Wedding ceremony and reception photos taken at Windows on the River are always beautiful...there's so much for a wedding photographer to work with. 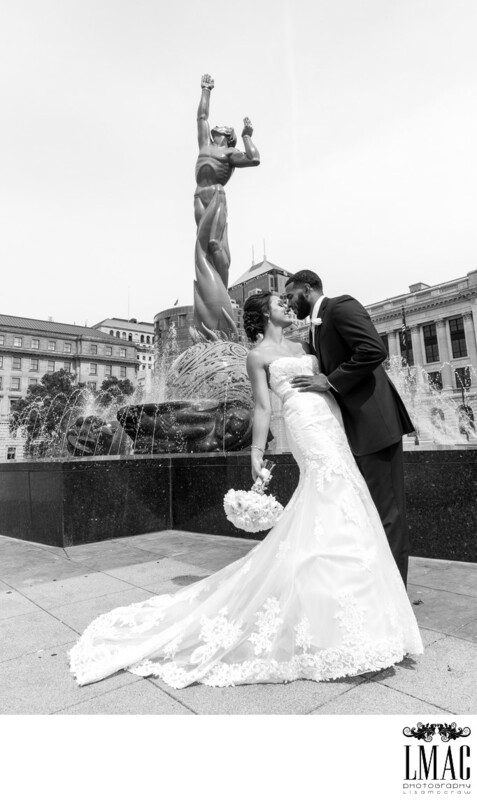 Mark and Kelsey also ventured into the downtown Cleveland area for their bridal party and bride and groom photos. There were also some amazing bridal portraits from this wedding. Location: 2000 Sycamore St, Cleveland, OH 44113.